The BH1900NUX is a digital temperature sensor IC equipped with a two-wire serial interface. It is small package (2 x 3 x 0.6mm) designed to be placed easily in areas where accurate temperature measurement is required. This device has 3 address pins and it allows to connect 8 devices on one bus. 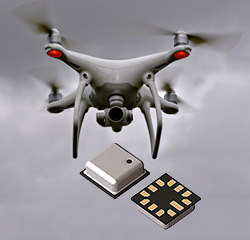 The BM1383AGLV is a piezo-resistive pressure sensor which temperature compensates for MEMS insde the chip, making it easy to obtain pressure information. The ultra thin FL temperature sensor’s miniature NTC is packaged inside a flexible PCB, 3mm wide and 0.5mm in thickness. It is designed to meet the volume, cost and delivery expectations of Original Equipment Manufacturers. The FL sensor is suitable for all low profile thermistor applications and is an ideal solution for measuring Electric Vehicle and Heavy Electric Vehicle battery pack cell surface temperature. It operates over -40ºC to 125ºC at zero dissipation and 0ºC to 55ºC at maximum dissipation (130mW), with a dissipation constant of 1.9mW/ºC approx. Standard device resistance at 25ºC is 10,000Ω ±3%, with a B-value (25/85ºC) of 3936. Other nominal resistances, reference temperatures and B-values are available upon request, as are resistance-versus-temperature curves. The flexible PCB substrate is polyimide. Insulation resistance is 1,000 VDC at 25ºC. Please contact Willow for further information and datasheets - +44 (0) 1342 717102. The NovaSensor NPA 201 is an absolute pressure sensor (temperature included) with digital output for low cost applications. Its low power consumption and compact size makes it ideal for battery powered and mobile applications or any application where size is a constraint. In today’s growing market for portable electronics and wearables with multiple parameters being measured there are many applications that require an accurate measurement of barometric pressure to determine factors such as altitude. 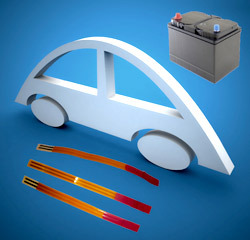 NK are innovative new Automotive grade NTC Thermistors with newly advanced coatings. These temperature sensors have been developed to meet new demands in Automotive and Electric Vehicle markets (AEC-Q200: Rev D automotive standard compliant) where there is an ever increasing demand in high temperature, high moisture, high thermal shock & more corrosive (acidic) environments. The HTF1 or CR1 coated thermistors offer similar protection levels to those achieved with historic glass coated thermistors but feature enhanced flexibility in the connection leads. New coating materials have enabled NTC Thermistors to meet key requirements stipulated within the automotive industry for quality, reliability and stability. The NK temperature sensors are available with bead sizes down to 2.4mm, Insulated lead lengths from 3mm to 30mm, with three different coatings options; epoxy, silicone HTF1 and CR1. The CR1 coating provides fast speed of response; <3secs in 6m/s airflow with a continuous operational temperature ran of -40 to +190ºC. Extensive testing has been completed on the device; thermal shock >5000 cycles -40ºC/155ºC, water immersion >2000h at 80ºC and acid/fuel resistance by accelerated NOx test for 840hours. The NK has leads designed for flexibility with a 180º bend around 1mm mandrel achievable. Insulation is 1000VDC when immersed in water at 25ºC and dielectric strength 50kV/mm. The new CR1 coating provides an NK with improved protection for temperature sensing in harsh environments such as EGR loops, air intake manifolds, HVAC systems and Euro 6 compliant emissions technologies. It’s optimised for corrosion & moisture resistance, high temperature operation & mechanical strength & flexibility. Epoxy NTC Thermistors - Epoxy coated thermistors offer very good stability and robustness and are generally used at temperatures below 150°C. 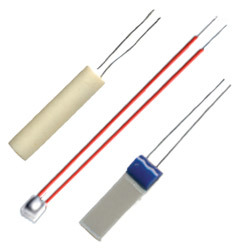 Willow offer a large range of Interchangeable and RL Epoxy Thermistors. Please contact Willow for further information and datasheets - +44 (0) 1342 717102. Glass NTC Thermistors - We offer a wide range of hermetically sealed glass thermistors. 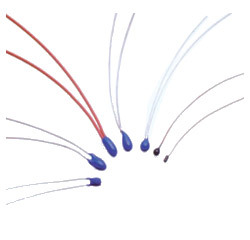 Our glass coated thermistor product range offers increased stability and robustness. Hermetically sealed glass thermistors are highly recommended for applications over 150°C. Willow offer a wide range of sizes and response time values. To learn more about and choose from the extensive range of resistances and beta values available, please contact Willow Technologies - +44 (0) 1342 717102. Radial Lead NTC Thermistors - Radial leaded NTC Thermistors offer wide resistance, beta and dimensional image. 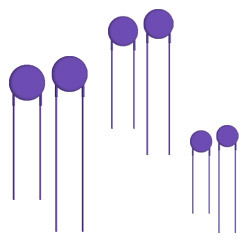 The Point-matched disc thermistors with bare lead-wires are also available in a wide range of material systems. Contact Willow Technologies for further information and datasheets - +44 (0) 1342 717102. Cryogenics NTC Thermistors - Cryogenic thermistors designed for use in extreme temperature ranges to boiling point of Liquid Nitrogen. 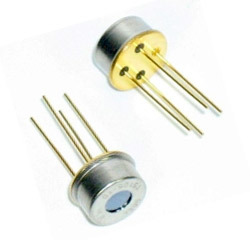 Cryogenic thermistor probes consist of a pressed disc thermistor attached to #27 AWG silver lead wires. All Cryogenic Type Thermistor probes are designed for use in the range of 77°F (room temperature) to -320.8°F (the boiling point of Liquid Nitrogen) (25°C to -196°C). These units are very stable, exhibit no hysteresis effects,and rapid temperature cycling from 77°F to -320.8°F (25°C to -196°C) has no measurable effect on electrical, thermal or mechanical properties. These units are well suited for Cryogenic control applications such as liquid level in the 77°F to -320.8°F (25°C to -196°C) range. They may be used at temperatures below the Nitrogen Point with suitable instrumentation. Contact Willow Technologies for further information and datasheets - +44 (0) 1342 717102. Mount this pipe clip temperature sensor directly on to a metallic pipe for accurate temperature measurement ±1.0°C! Amphenol's robust pipe clip temperature sensors respond quickly to changes in temperature (0.8-2.0 seconds). They are ideal for many industrial HVARC applications: Gas boiler control, domestic water systems, air conditioners, radiator inlet/outlet, electric showers, vending machines, chillers and refrigeration units. 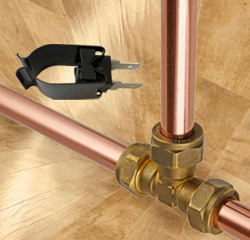 The pipe clip temperature sensors withstand 750 VAC for a broadly sinusoidal wave form at 50Hz applied between connector tabs and contact shoe, where the max. allowable current is 1mA. Life expectancy of at least 250,000 thermal cycles between 25 & 85°C, equating to 15 years - life expectancy of a typical boiler. No need to bore a hole and seal, saving time and money! Maximum continuous working temperature to ±90°C. 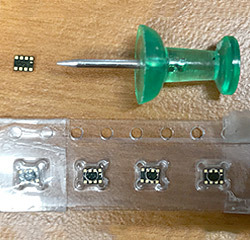 The sensors consist of an NTC thermistor on a ceramic/metal shoe assembly, seated in a polymer housing with flexible twin cable connections. The housing is fitted with a spring metal clip for pipe attachment. Our PT Sensors are high accuracy PT100, 500, 1000 Ohms, wide temperature ranges -200 to +1000°C offering excellent, long term stability. Easy inter-changeability / replacement, minimumn cost electronic development. Contact Willow (0) 1342 717102 for further information about our extensive range of PT Sensors. OCD Platinum Temperature Sensors - Miniature Opposite Contact Devices (OCD) platinum resistance temperature detectors (RTDs) that measure just 1.5 x 1.5mm (optional 1.2 x 1.2mm). 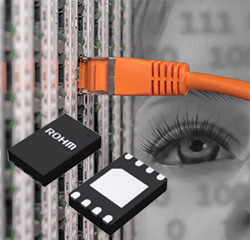 Easitly integrated for automation, unwired or with soldered connection cable. We offer a wide range of thin and thick film thermally sensitive semi-conductor PTC Thermistors. The resistance values rise sharply with increasing temperature after a defined temperature has been exceeded. The PTC Thermistors Willow offer are suitable for a wide range of applications and markets including high temperature thermistors, gauge drivers, sensors and elements in industries including medical, automotive and telecommunications worldwide. Thermopiles are used for non-contact temperature measurement. The measurement principle is based on the detection of infrared radiation using micro-machined devices in silicon based technology. The device's inherent DC coupling characteristic allows the operation without mechanical chopper. Suitable for applications in diverse markets such as medical, automotive, white goods and security systems demonstrating the unique relation of high precision to price. They are used in anything from hairdryers and toasters to car climate control, gas and presence detection. For more information and to understand the benefits and key features of the wide range on offer, please contact Willow +44 (0) 1342 717102.